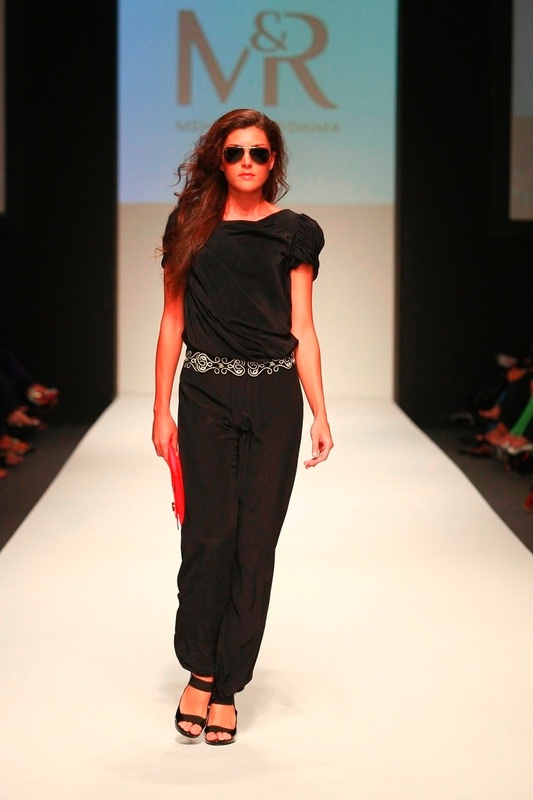 Young designers, Meher&Riddhima dazzled the crowds at the Dubai Fashion Week with their latest S/S 2011 collection that was dedicated to explorer extraordinaire Amelia Earhart. The collection titled “Amelia” celebrates the woman, as one who lives for her passions and is unafraid of pursuing her dreams. A collage of photos and sounds of planes flying overhead set the mood to pay homage to the lady pilot. The collection commenced with white frocks carrying airplane motifs, after which, the collection progressed to short dresses with cinched waists. Experimenting with prints for the first time, Meher&Riddhima use an abundance of green patterned silk in their resort wear collection. The kaftans employed minimal embellishments working primarily with bright colours and their tasseled innovations. 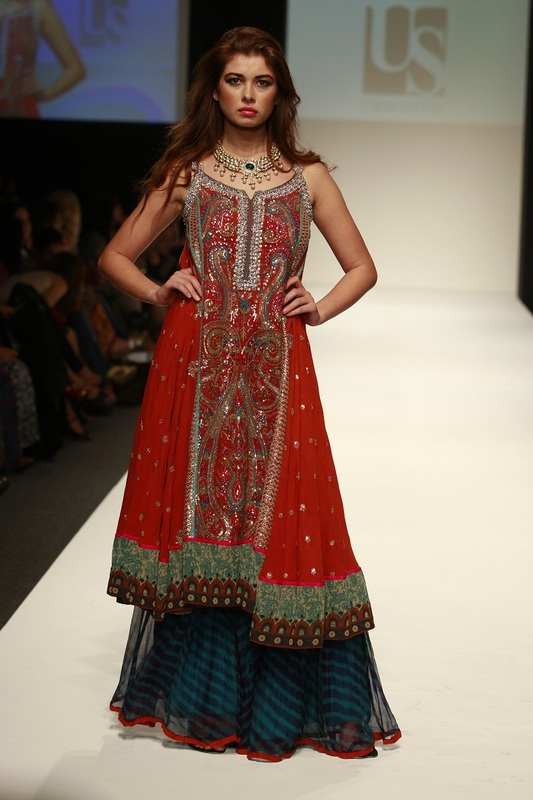 With vibrant hues of corals, greens, peach and mango yellow,Meher&Riddhima’s collection was playful and flirty. 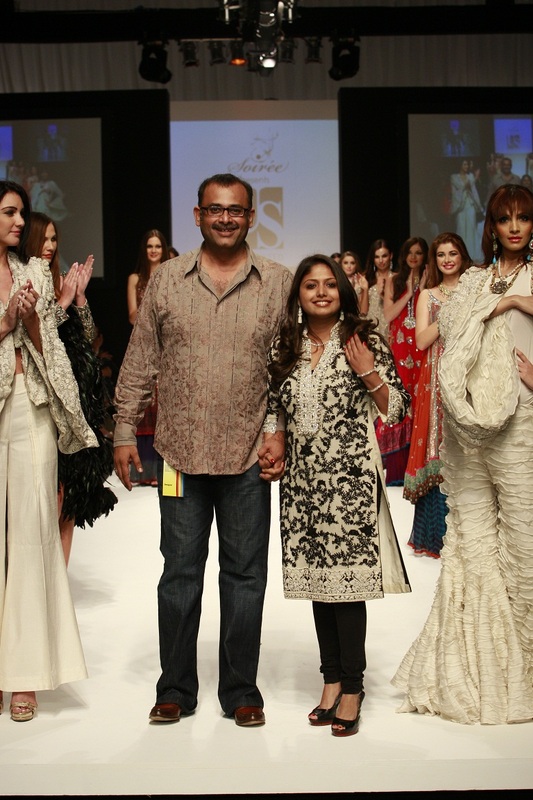 The UmarSayeed show presented two collections that paid tribute to Pakistani artist SadequainNaqqash, iconic Pakistani novella Gardish-e-Rang-e-Chaman respectively. Kicking off with a slideshow of the collective works of the artists, the opening ensemble was an elaborate ivory jacket illustrated with some of Sadequain’s most famous paintings. A bird’s nest adorned the model’s hair, paying tribute to crows and cacti, iconic elements of the paintings. The first six sets were a tribute to the world famous Pakistani artist and depicted resilience. While the first half of the show depicts resilience, the second half works with gracefully vibrant colors, bringing the pages of the Qurratulin Hyder novel to life. The 20 creations displayed were made of fine chiffons, silks, cottons and hand-woven brocades, all complete with designs embroidered by hand. One of Pakistan’s top brands, UmarSayeed’s new collection boasts of a classic appeal, unbound by geography and time.